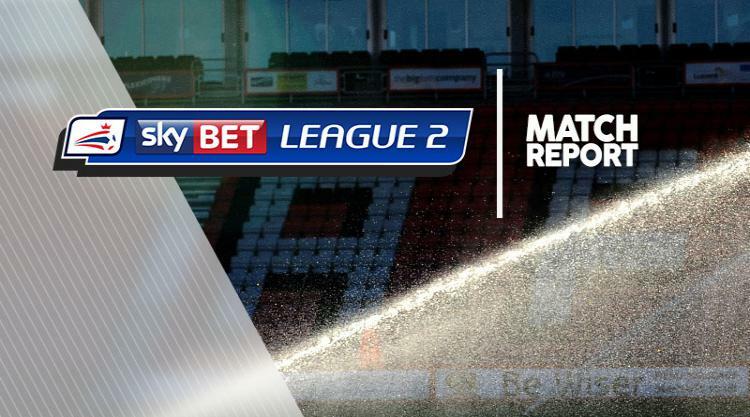 Luton virtually assured themselves of a play-off place in Sky Bet League Two after a 2-1 win over Notts County. Strikes from Ollie Palmer and Pelly Ruddock saw the Hatters stay fourth, six points clear of eighth-placed Mansfield, with a goal difference of 17 in their favour. County were ahead in the sixth minute through Elliott Hewitt's unerring finish after the ball broke to him inside the area. Dan Potts fired into the side-netting, but Luton were level after 16 minutes as Danny Hylton's wonderful 25-yard curler hit the underside of the crossbar and Palmer powered a header beyond Adam Collin. Jorge Grant flicked a header over, with Ruddock hammering off target and then making amends on the stroke of half-time, finding the bottom corner from 18 yards. After the break, Hylton put a great chance wide, while home goalkeeper Stuart Moore made a fine stop to turn over Adam Campbell's effort in the 64th minute. Hylton was denied by Collin, with Moore turning Mark Yeates' effort away, before Hylton saw red in stoppage time for his second booking.